Major speed upgrades demand major infrastructure upgrades. These infrastructure upgrades can include new cabling, new transceivers, or new hardware altogether. It’s an involved process, that can require tearing down your network to the studs. During this process, it’s easy for your management network to fall through the cracks. That was the case with one major customer when they made the jump from 10Gbps to 40Gbps. Their previous infrastructure was composed entirely of OM3 fiber with LC terminations. Their previous TAP infrastructure was feeding a packet broker that only had SFP+ ports available. As some of you may be aware, the jump from 10Gbps to 40Gbps requires transitioning from an LC connector to a high-density MTP®/MPO connector. With the new fiber connector comes a new transceiver and a new port needed on your device. This customer soon found themselves with a very expensive packet broker that was almost entirely useless. Their options were to either replace their packet broker or to flex their management infrastructure around utilizing their old unit. Thanks to Garland Technology’s new PacketMAX™ Advanced Aggregator product family, the customer didn’t need to compromise on speed or the reliability of their infrastructure to keep their old unit relevant. With the upgrade in speed, the customer had a hybrid environment of six (6) 10Gbps and twelve (12) 40Gbps. With breakout TAPs, this translates to twelve (12) 10Gbps monitor links and twenty-four (24) 40Gbps monitor links. 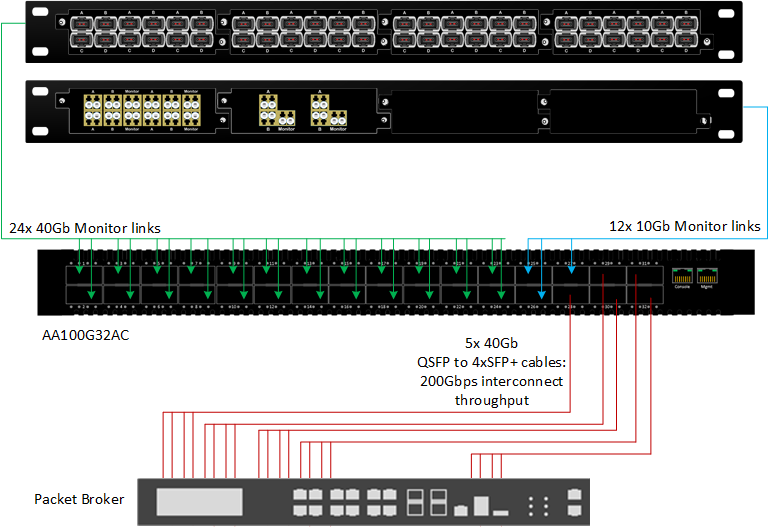 Using the AA100G32AC in conjunction with breakout cables, the customer was able to TAP and aggregate all of these links using only 3U of space. Connecting to each of the 10Gbps links using a breakout cable, and connecting to the 40Gbps links with a standard QSFP+ cable. To connect to their packet broker, the customer simply used the remaining five (5) 40Gbps ports, broken out to 10Gbps SFP+ connections. 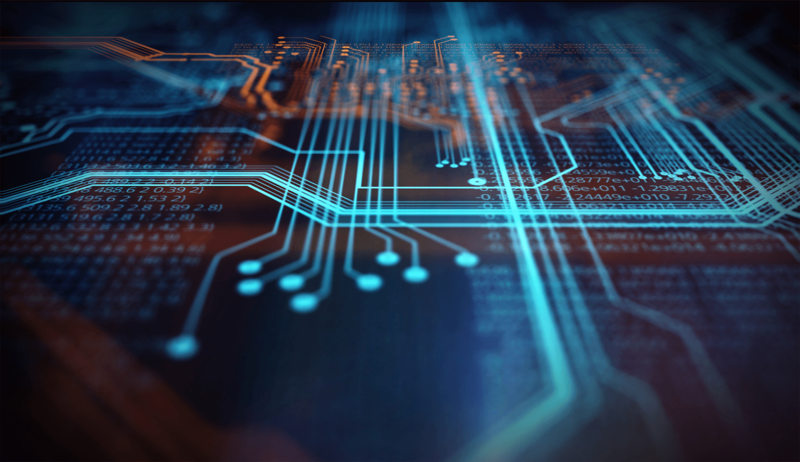 With the speed conversion and load balancing happening at the advanced aggregator, the customer was able to extend the life of their packet broker and lessen the expenses associated with upgrading their speed. 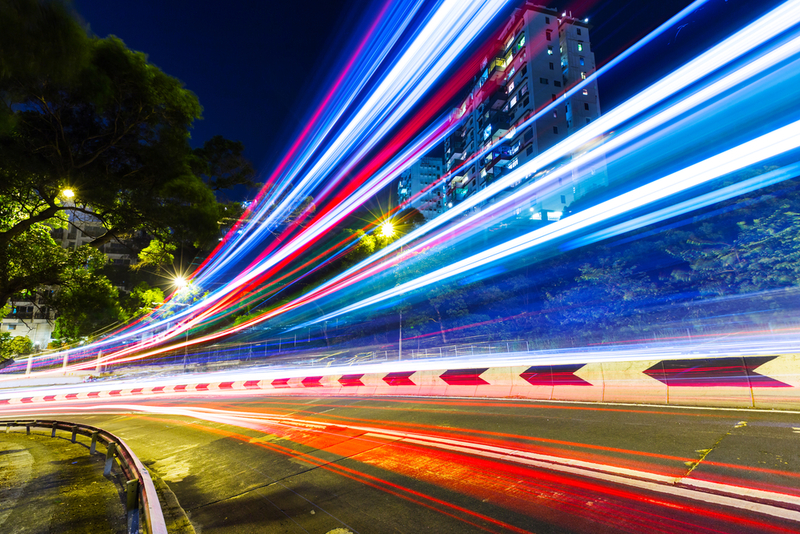 Whether you’re adding new hardware to old infrastructure or transitioning to new infrastructure, speed conversion is almost always a part of a growing network. Garland Technology passive TAPs can grow with you, with the SelectTAP supporting easily changeable modules that support speeds from 10Mbps to 100Gbps. While the PacketMAX Advanced Aggregator series has models that support speeds from 1Gbps up to 100Gbps. Utilizing passive fiber network TAPs in combination with an Advanced Aggregator ensures you complete network visibility and access no matter the any-to-any configuration of your network speeds. Vince is a System Engineer for Garland Technology in the Buffalo, New York office, providing solution designs and support for all levels of the sales cycle. Vince specializes in network design, working closely with access layer technologies.